Green – the woods outside my window; blue – the endless variety of the sea; orange – the sun in a summer sky; brown, grey and black – fresh furrows and the road beneath the melting snow; red – the roses in our gardens. The colours in my work are drawn from the splendour of Latvian nature. I create my fibre works by painting little sticks and wrapping them in copper wire, by gluing and sowing, putting layer upon layer until the work seems finished. For digital printing, I use my own photographs. Real to begin with and taken in different seasons, they are processed until I’m left with blurred colour fields. Colour as a flash, an abstract field, a vision. Hardly any white, but in this colour, which includes all others, I am living right now. 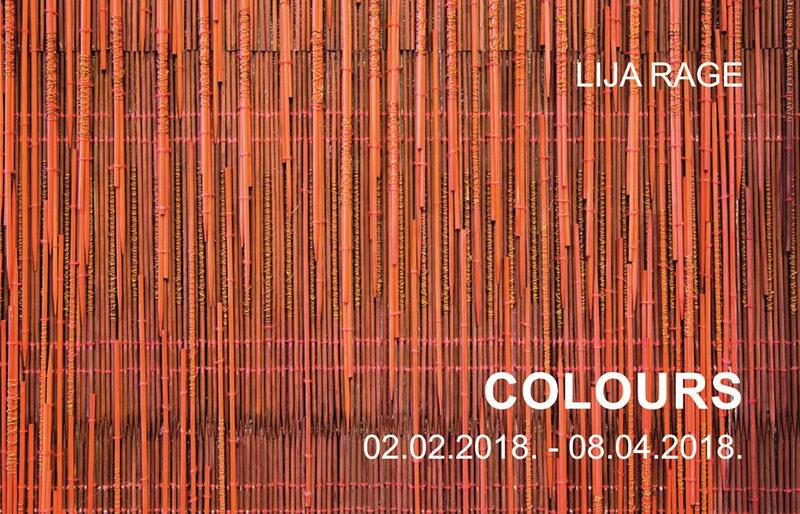 Textile artist Lija Rage was born in 1948. She lives and creates in Jūrmala. In 1968, Rage graduated from Rīga Secondary School of Applied Arts, in 1974 – from the Textile Department of the Art Academy of Latvia. In 2003, she gained a master’s degree from the Academy. Rage is a member of Latvian Artists’ Union since 1976. She has held more than 10 solo shows and participated in countless group exhibitions in Latvia and abroad. Rage has received a number of awards: Grand Prix of the Baltic Applied Arts Triennial in Tallinn, Estonia (1985), special award of the Korean Biennale (2007), the Valparaiso Foundation grant (2009); the Nordic Culture Point grant (2010); Excellence Award of the 7th International Fibre Art Biennale in China (2012); Excellence Award of the Applied Arts Biennale in China (2014). Rage’s work is held in museum and private collections in the USA, Australia, France, Japan, Russia, Latvia, Germany and Sweden.